AlphaPilot is not going to be easy, but you shouldn’t have to go at it alone! That’s why we are encouraging teams to find sponsors for financial assistance, resources, general support and all-around advocacy. Who can sponsor your team? Anyone – universities, companies, investors, crowd funding…you name it. Why sponsor a team? If you’re a believer in artificial intelligence and want to establish yourself as a thought-leader, what better way than to champion a team that’s redefining state-of-the-art! It’s a small commitment for a relatively large return. As a sponsor, you’ll have the opportunity to showcase your chosen team and get your name out there in our filmed content and public engagements. What does it require? That’s up to you. Between $5,000 - $10,000 should cover a team’s travel requirements, should they make the final round. Some in-kind contributions may include access to GPU hardware and high-performance computing infrastructure, support from professors or subject matter experts, and flight time in licensed drone facilities. How to sponsor a team? Find a team you like and form a sponsorship agreement. This can occur in any number of ways. To help, sponsors can share the sponsorship opportunities they have available in the Resources Section. In addition, sponsors can browse all teams that have registered for the AlphaPilot Challenge and reach out to team captains directly via their team page You can also meet teams via online forums, conferences, social events, and other in-person engagements. In many cases, sponsors may be the university or company from which the team is affiliated. However it happens, the AlphaPilot team will permit the agreement so long as the sponsorship does not violate any contest Rules and Regulations. Teams that are selected for the final round may be asked to disclose information regarding their sponsor and sponsorship agreement as a requirement for continued participation. Are you a true believer? Become part of the program! 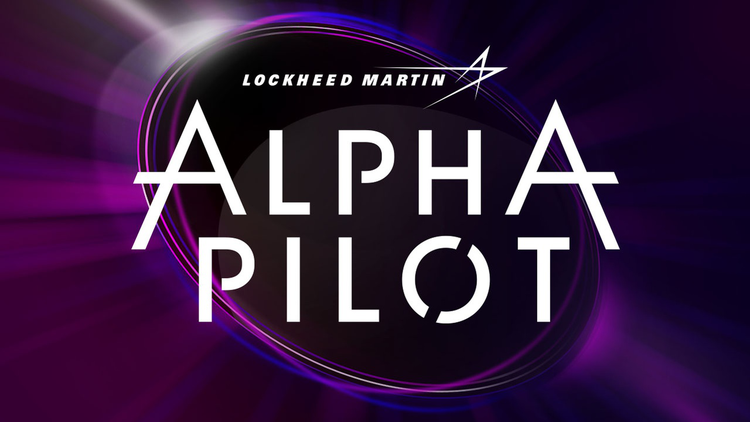 Lockheed Martin has reserved several sponsorship slots for our AlphaPilot racing events. If your organization is interested in becoming an official sponsor and would like more information on benefits and pricing options, please . We welcome you on our journey to galvanize public interest in artificial intelligence and democratize the technology for all – practitioners and fans!